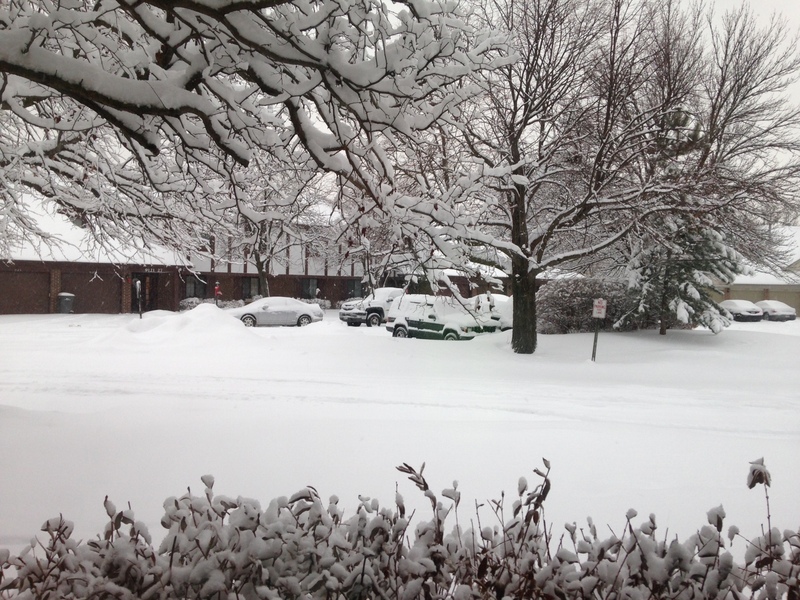 And day two of another snow storm in Chicago. 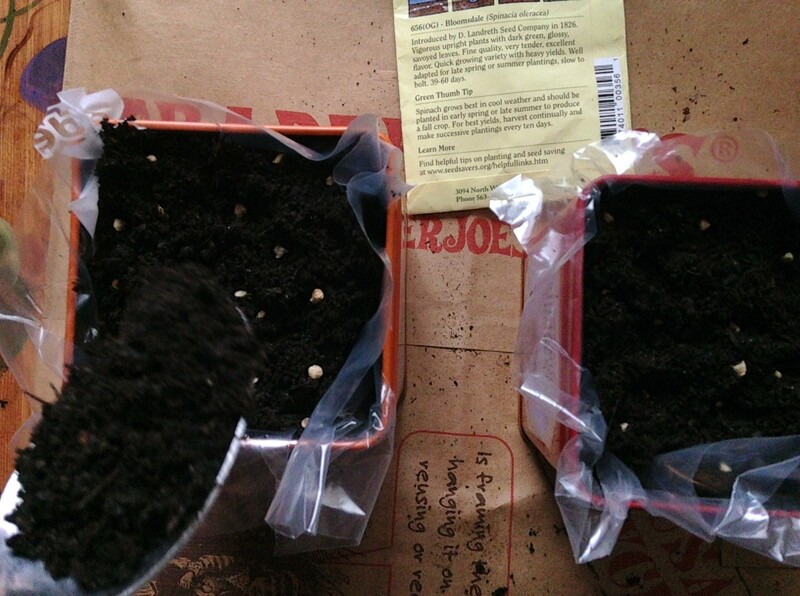 Not one to be thwarted from anticipating planting season by a foot of snow, I remembered that I have these two lovely empty tea tins from Trader Joe’s just begging to be filled with dirt. While shopping for storm supplies, i.e. toilet paper and milk, I found one of the last bags of potting soil on a shelf far opposite the 75% off Christmas lights. I punched a couple drain holes in the bottom of the tins and snipped a few holes in the plastic bags I thought might keep the tins from rusting too quickly. I filled each with potting soil, and planted a few of the spinach seeds left over from spring and summer. I’m also a person who enjoys anticipation and having something to nurture. This will bring me a certain peace and possibly a salad despite the cruel cold outside. Spinach germinates quickly, although I’ve never planted indoors except to start seeds for spring planting. We’ll see what happens around mid-February.